It'll be interesting to see if my interface colors stay the same. Keeps getting better all the time! Hay everybody, for a long period I present to you new version of config 3.5. Rewroted a lot of tool tips, rebuilded a lot of commands, Colors of UI and Edges was modified/fixed, all new features form IStonia was implemented and tuned, a lot of bugs was fixed, Object List and scene explorer was deleted and now config use only Scene Herarchy window, etc... Also some commands from interface was deleted to simplify things, because we do not need them any more with new Object Highlight/Preview system. This is how it works, if you select object all other objects become semitransparent, to preview model in best tuned way you have to press Space during viewport navigation. So now we solve problem with object Highlight, and improved workflow because we can select through semitransparent unselected objects. I think it is very Major Updated I dream about it for a long time! Or press Ctrl + UI Button for Video Help. Forget to say also was added new Boolean window and Streamline Shortcuts for these. It is very simple and intuitive. 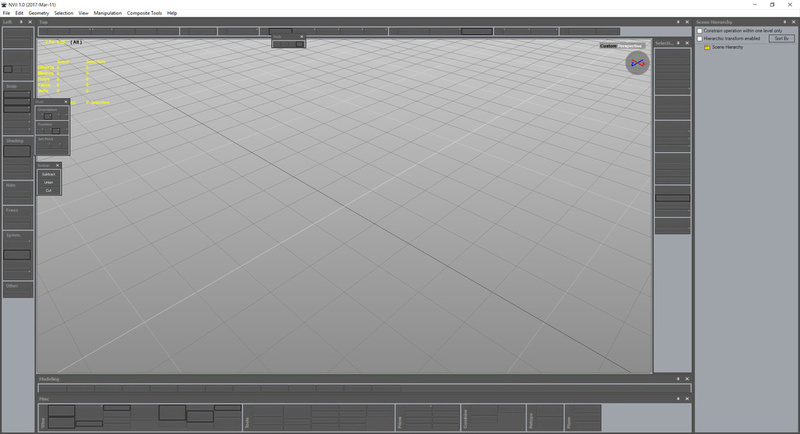 Also it works directly with objects instead of old window that worked with meshes and was too complicated. See toolTips to know how it works! Can you supply a version without .exe ? I prefer manual install because I have preferances I wish to keep. Non of the links work for the config...Is there a working link? But the solution no longer works even with the file options selected as mentioned in the reply by Istonia. How do I turn on this feature after installing your config file? Have a look at these related tips. To toggle top menu visible, Ctrl+Shift+Alt+Home. View > Windows > Object List Window / Scene Hierarchy Window / Scene Explorer Window. Edit > Preference > Option1 > Keep object list in scene explorer > Keep scene hierarchy in scene explorer.